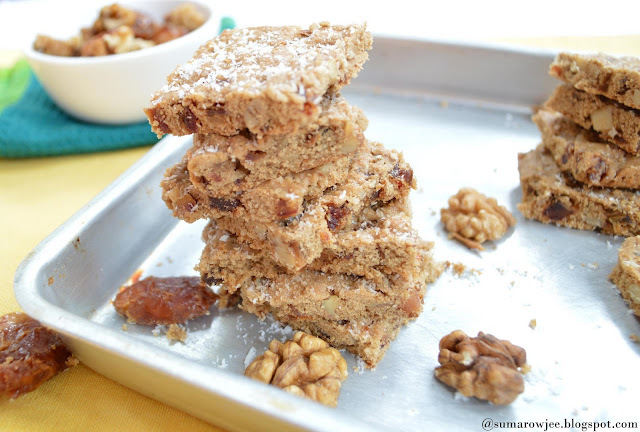 Delicious and mouthwatering coconut squares. 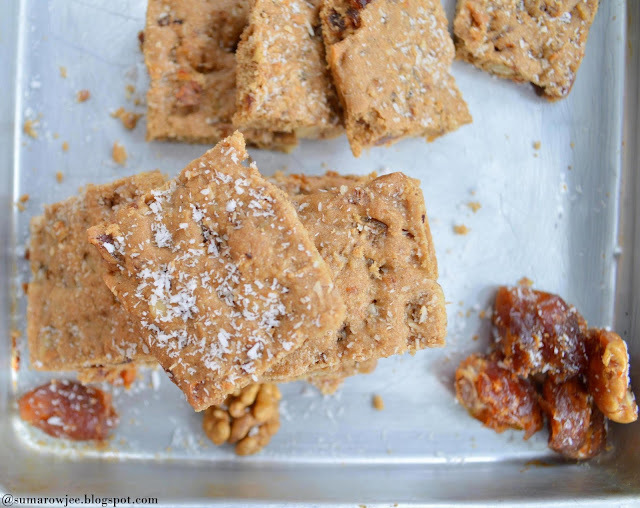 Hi Suma, I loved the use of whole wheat flour in the recipe. With whole wheat flour,dates, brown sugar,coconut,walnuts and just 3 tablespoons of butter you've made it nourishing and guilt free! Congrats on the DSLR. You must be super excited!! YAY! Nice new blog look too, and then a new baking space. Woot woot Suma. Good for you! I like the sound of these squares. 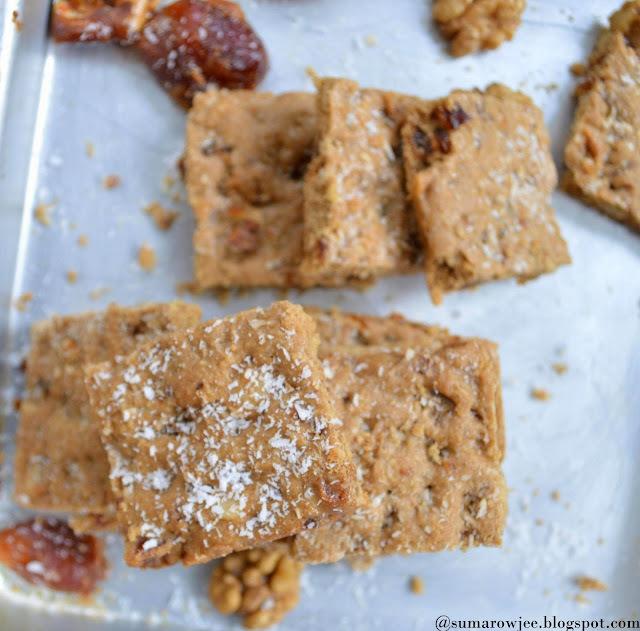 They look like blondies, but are packed with energy. YUM! they looks so addictive.. love to try it..
the squares look yum ! Congratulations on your new DSLR and the new baking kitchen !! How cool is that ? You opening up a little baking store ?? Looks fantastic.. lovely combination too!! Hi this is healthy. how i can substitute egg? Can i add flax seed powder and 1 more table spoon of butter? @Sreedevi - A tablespoon of ground flax meal mixed in 3 tbsp warm water and let to stand for 5 minutes is supposed to work well as a substitute for one egg.